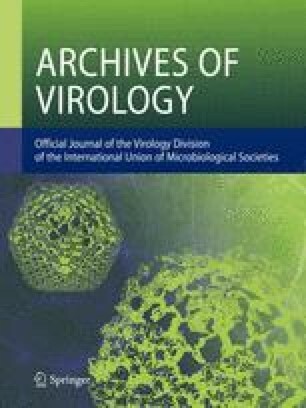 The complete coat protein (CP) sequences from 29 Indian isolates of Chrysanthemum virus B (CVB) were determined and analysed in relation to other previously characterized carlaviruses. The CP genes of the Indian CVB isolates were highly heterogeneous, sharing nucleotide sequence identities of 74–98%. Based on phylogenetic analyses, the isolates formed three groups potentially representing either two or three major CVB strain groupings. Recombination analysis revealed at least one definite recombination event involving the exchange of sequences between members of different groups. To our knowledge this is the first reported evidence of homologous recombination in carlaviruses.